glitz & glamour in every step you take. 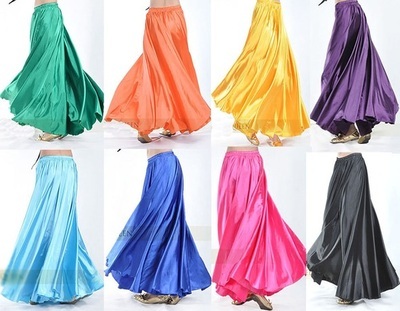 Comes with the "Spiral skirt" or "Lustrous Satin Skirt" shown below. Now in LARGE sizes, too ! Belts have a velcro closer (can be expanded). We offer this costume with either the Spiral skirt or Lustrous Satin Skirt shown below. Please indicate which skirt you would like with your order. We now offer the Emblem belt or Emblem bra top separately, also. Purchased "Emblem 3pc costume in gold"
Thank you so much ! The costume arrived today in perfect condition and fits like you custom made it for me.